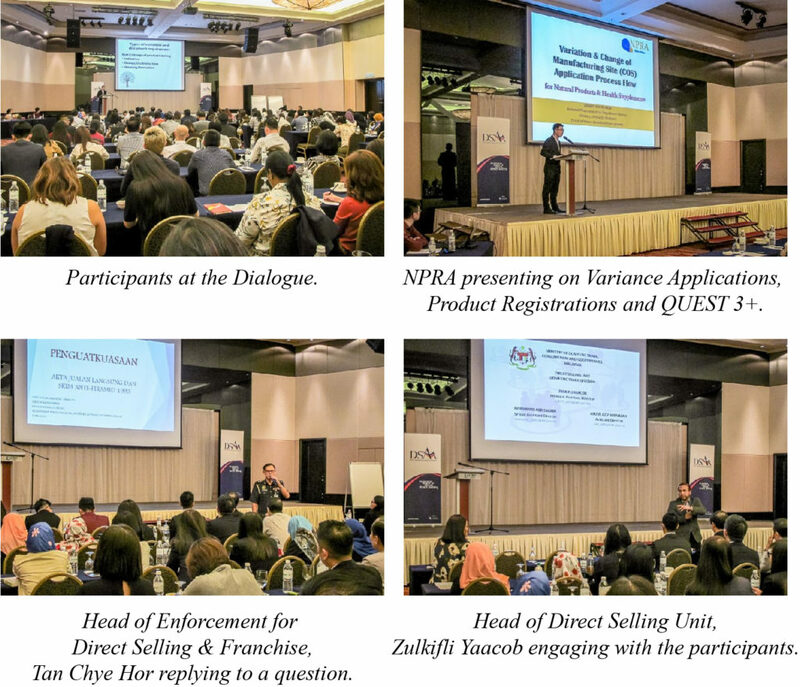 More than 135 participants including 12 government senior officers from the Direct Selling Unit and Enforcement Division, Ministry of Domestic Trade, Co-operatives and Consumerism (MDTCC) plus the National Pharmaceutical Regulatory Agency (NPRA), Ministry of Health (MOH) attended the DSAM Regulatory & Compliance Dialogue 2018 on March 20. NPRA went through the Variance Applications and Product Registration updates in the morning session and the presentation on QUEST 3+ completed the MOH sessions. In the afternoon, the Enforcement Division of MDTCC briefed Members on Enforcement visits to their premises and compliance matters. The Direct Selling Unit later presented updates on Direct Selling license renewals and conditions plus the current status of the Direct Selling industry in the country. Members can download the NPRA presentations from the DSAM Member’s Section of our website.